You love making jigsaw puzzles. And you love learning letters. Stop: your perfect book is right here. This colourful book and two-sided jigsaw is a great way to learn your ABC. Look inside the book to play a fun I-spy game, finding out how alphabet letters look and sound. 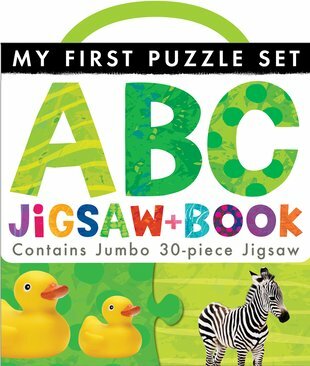 Then make a chunky 30-piece jigsaw themed around the ABC. You’ll adore the cuddly artwork and the handy case that you can carry around.